Did drugs only during his waking hours. White powder was in more than the rosin bag. In the dugout, working on a ruthless hangover. Gambled with his talent, and lost. Taking a gummer when this photo was taken. Good at baseball, bad at staying sober during baseball games. Old age started early, about age 21 (above). Officers were familiar with the Doctor. 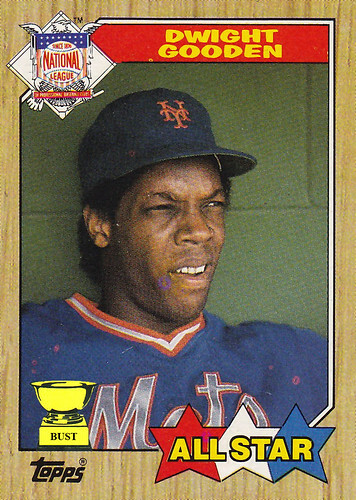 Even Darryl Strawberry couldn't keep up with Gooden after midnight. Never met a bottle he didn't drink.